Thailand ARE YOU READY?! Jeep Tumwattana who’s hands are already in JP Toys, JPX as well as being one of the founders of Thailand Toy Expo is ready to launch his next venture J.P. Toys Gallery. Ready to open its gallery doors for the first time you can call it a soft opening with a bang! 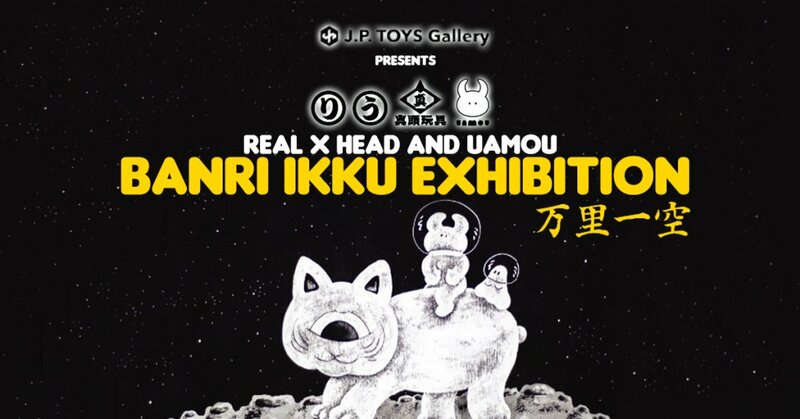 J.P Toys Gallery have called upon Real x Head and Uamou for J.P Toys Gallery first exhibition in Thailand. Both Real x Head and Uamou will be at the opening. We expect plenty of exclusives as well as a rare chance to meet Real x Head and Uamou in person in Thailand. WHEN: July 15th-22 nd 2018 at JP TOYS Gallery. Stay tuned for all the exclusive drops and further info.